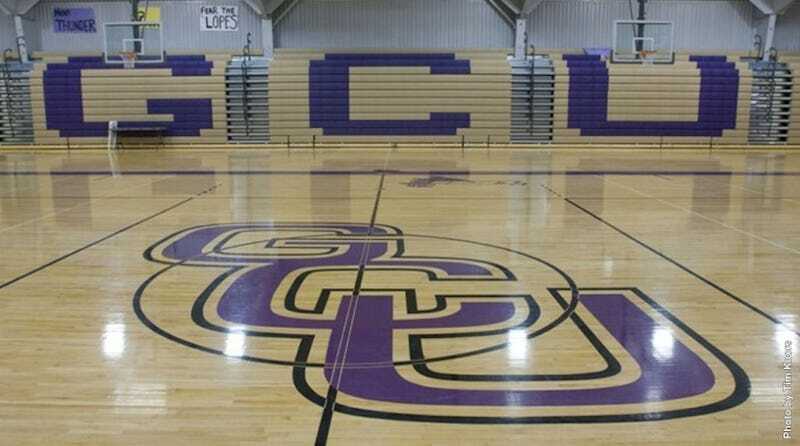 We told you last fall about Grand Canyon University, the for-profit school in Phoenix that began transitioning to NCAA Division I on June 1, with its basketball team (led by new head coach Dan Majerle!) slated to compete this winter as a member of the Western Athletic Conference. Now comes word that GCU's jump to D-I isn't sitting so well with its neighbors in the Pac-12. The NCAA itself and D-I are not-for-profit, tax-exempt entities. So, um, about that non-profit, tax-exempt status: It's an accounting gimmick that allows the NCAA to skate on having to pay corporate income tax. Last year, the NCAA took in $872 million in revenues and paid out $801 million in expenses. That's a record $71 million profit—sorry, surplus—that brought the NCAA's net assets to $566 million, including an endowment fund that was worth $282 million at the end of the 2012 fiscal year. So: The NCAA can legally spend millions of dollars of its own assets to help insure its biggest cash cow. Just don't call that a re-investment of profits, OK? And the NCAA can do all this without having to pay the help (e.g., athletes) for their work. This, the Pac-12 is now saying, is the system that puts the NCAA on a higher moral plane than those shareholder-minded robber barons over at Grand Canyon. Since amateurism rules prevent the flash flood of cash rushing through big-time college sports from going to athletes in the form of competitive, market-rate salaries, the money flows everywhere else: inflated coach and athletic director salaries; indirect recruiting inducements like fancy weight rooms and swanky jock dorms; unnecessarily high budgets for non-revenue sports. Grand Canyon University might have no shame about prioritizing its status as business. But it's still more honest about itself than its persecuted neighbors in the Pac-12.